I try to save a ton of money. max out 401K, do an IRA, save even more after tax. It all adds up. Who wants to work until they drop dead? I agree that most see retirement negatively because they really don’t know what they need and what’s in store for them. This is why it is important to start planning for retirement as early as possible and also find out what their real retirement age is based on several factors. 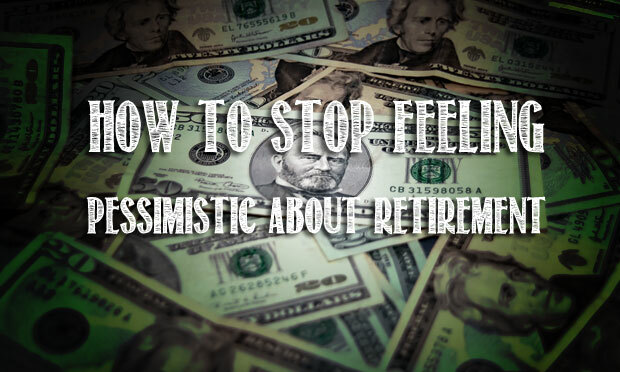 I think it is hard to stay positive about saving for retirement when it is so hard to make ends meet already. I don’t have hundreds of extra dollars a month to put towards my retirement so it becomes quite difficult to think of it in a positive light.